Bites Asian Tapas is one of Chicago's newest dinner and weekend brunch jewels. This warm, contemporary restaurant features creative pan-Asian small plates that are receiving acclaim from food media and fans on social networking sites. 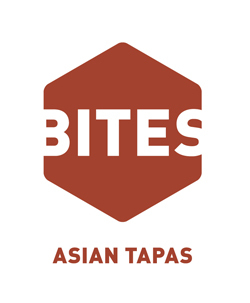 Bites' weekend Asian brunch is a unique and mouth-watering adventure, and will definitely help create a memorable Mother's Day. 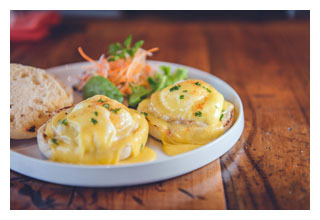 All moms will receive a complimentary Mimosa to start (choice of orange, lychee or mango flavors) and a $10 gift certificate good for the next visit to Bites Asian Tapas. Begin the Mother's Day celebration with tasty cocktails such as the Bloody Rooster ($7), Bites' take on the traditional Bloody Mary; the Wassup Wasabi ($7), with vodka, ginger syrup, lychee juice, lemon and wasabi; the Tom YUMtini ($8), with vodka, tom yum syrup and lime; the Ms. Gardenia ($7) with gin, simple syrup, rambutan juice, Midori, and lemon; and the Hot Geisha ($8), with Shochu, ginger syrup, lemon, lemongrass, mint and Thai chili powder; or choose from their wide selection of sangria, wine, sake and Asian beers. 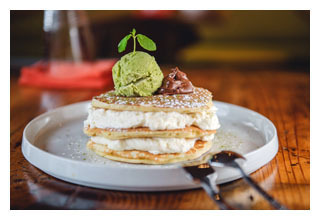 Mom will love the colorful Asian brunch dishes, including the signature Green Tea Pancake ($8) with Matcha, whipped cream, chocolate sauce, almond and green tea ice cream; the Pulled Pork Waffle ($9), Asian styled pulled pork, BBQ sauce, scallion, and cheddar cheese; the Eggs Benedict ($9), with Vietnamese ham, poached egg, hollandaise sauce, served with Spinach Salad; the Korean Burger ($12), Korean Marinated Spicy Pork, lettuce, Fried Egg, Bi Bim Bap Sauce served with Taro Fries; and the Grilled Rib Eye Bahn Mi ($10), grilled medium rare rib eye, with lettuce, pickle, jalapeno, cilantro, spicy mayo and served with taro fries. Complete your Mother's Day feast with an original dessert creation such as Coconut Crème Brulée ($5), Asian Churros ($5) or a refreshing Mango Chile Sorbet ($3, organic and dairy-free).